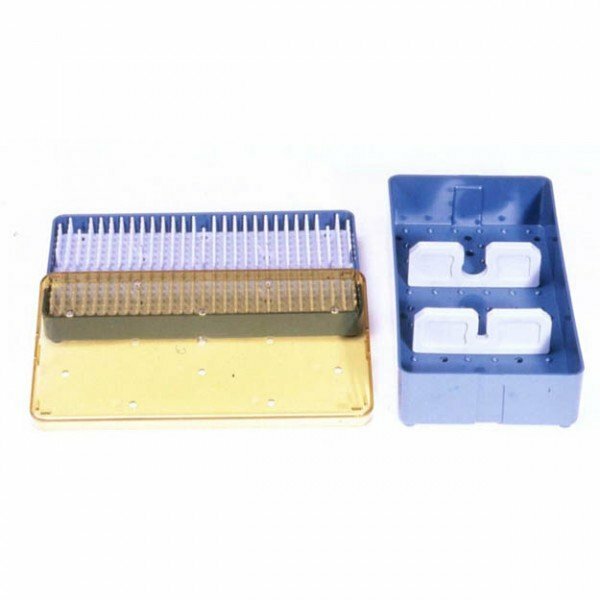 Phaco instrument sterilization tray includes base, lid and two silicone bars. One slot. 4 inches by 7.5 inches by 1.5 inches. 4" x 7.5" x 1.5"